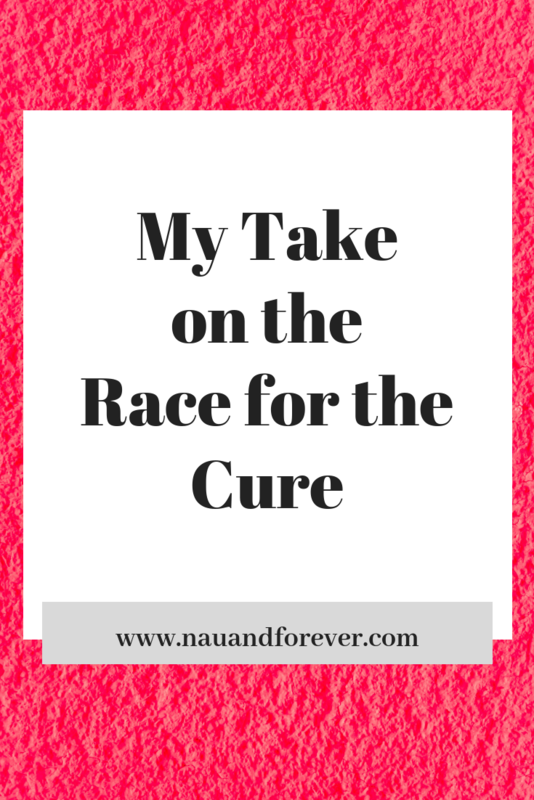 On September 30th, I drove to Race for the Cure in Evansville, IN. I had never been to this event before and really wasn’t sure what to expect. When I got there, I was immediately overcome with emotions. I didn’t expect that. I was surrounded by 100s of people who all came together for the same cause: to raise breast cancer awareness. All around me were survivors, men, and women who are currently battling this disease, and people supporting their loved ones. Every single age was represented. Young boys and girls running to support their moms, aunts, and grandmas. Teenagers walking in memory of loved ones who have passed. Husbands walking for wives. Wives walking for husbands. Businesses running for employees. 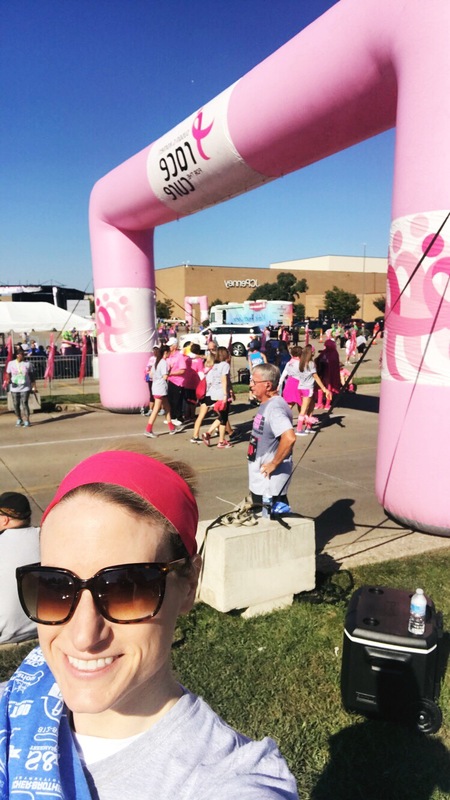 The Susan G Komen Race for the Cure is the largest and most successful fundraising event for breast cancer in the world. The 5K runs and walks raise money and awareness for the breast cancer movement. They celebrate breast cancer survivors through the survive walk and honor loved ones who have lost the battle. Did you know that 75% of the money raised stays within that community? That’s huge! 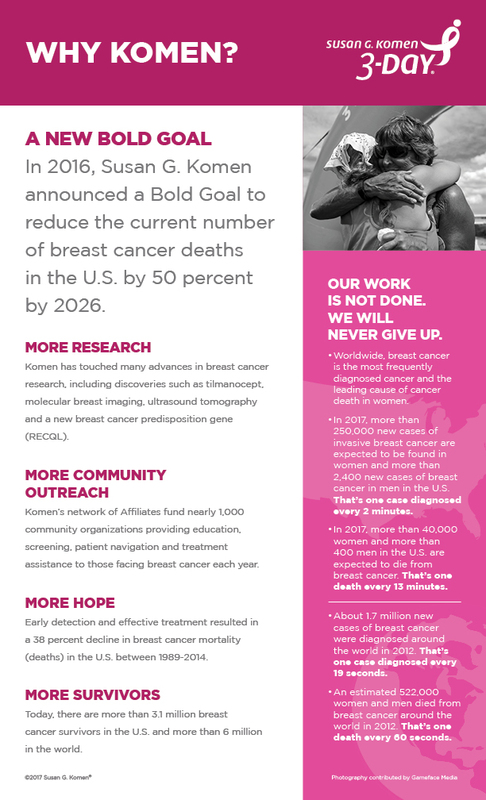 This makes it possible to spread breast cancer education throughout the community as well as screening and treatment programs. Race for the Cure is open to all ages and fitness levels. From babies to the elderly, everyone is welcome to participate. I didn’t expect the tears that were filling up in my eyes as I walked alongside all of these people. Nor did I expect to feel this desire to do more and want more for all of these people. I didn’t expect to be more than impressed with the overwhelming support of this fantastic city. There is something so magical about seeing people come together in love and support. On that day, we were all united. Cancer is awful. This we know. And seeing some many people come together to support each other is absolutely incredible. How Will I Go Forward? I text my husband before the race even began “we’re doing this as a family next year”. I will put more effort into fundraising and be sure to include our daughters so they know how important it is to raise awareness and funds to help women and men everywhere get the education and help they need. Too many people have lost their lives due to this disease and that needs to stop. I look forward to returning to the race next year alongside my husband and daughters and all the other fantastic people in my community. Together, we can make a difference, we will, and we are! If you want to know how you can donate or participate in fundraising, check out the Komen website here and the local Evansville-Tri-State site here for a list of events that you can participate in. **This post is sponsored by Valpak.